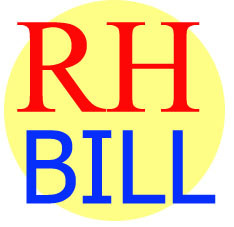 For the convenience of anyone who wishes to know more about and understand the so-called RH Bill (House Bill 04244) but does not have the patience to go through the 20-plus pages of the actual bill, I am making this simplified and bulleted version available for easier reading. I have tried to use the bill’s own wordings where possible and paraphrased to approximate the meanings as much as possible when I had to condense longer provisions. Although I have my own opinions on the bill, this is provided free of commentary. I leave readers to formulate their own opinions. For those who wish to express thoughts, feel free to leave your comments using the Facebook Comments widget at the bottom of this page. The State’s recognition and guarantee of the basic human right to reproductive health. The State’s recognition and guarantee of the promotion of gender equality, equity and women's empowerment. The State’s guarantee of access to safe, legal, affordable, effective and quality health care services. The eradication of practices, laws and policies that infringe on a person's exercise of reproductive health rights. Welfare of couples, adult individuals, women and adolescents. Safe delivery of children through effective reproductive health care. Provision of reproductive health care services, particularly the poor. Promotion of natural and modern family planning methods. Coordination between national and local governments in the promotion of fact-based family planning programs. Making available reproductive health information. Multi-sectoral effort to address the priority needs of the poor, especially women. Care for women needing care for post-abortion complications. Abortion continues to be illegal. There will be no population targets and growth rate will depend on the success of the promotion of reproductive health and sustainable development. Need to ensure that the nation’s resources are better allocated. Development of processes that will uplift the quality of life, particularly the poor and marginalized. LGU’s to hire midwifes, assisted by the DOH. Desired ratio of one midwife per 150 deliveries per year. SECTION VI. Emergency Obstetric and Neonatal Care. Upgrade of city and provincial hospitals for better emergency obstetric and neonatal care. Target of one hospital with comprehensive and four with basic emergency obstetric and neonatal care per 500,000 individuals. Accredited health care facilities to provide modern family methods. PhilHealth to shoulder expenses for these services for the poor. Provision of Minimum Initial Service Package (MISP) for reproductive health as part of government’s response to disasters and other instances of emergencies. Evacuation centers and refugee camps shall be equipped to handle normal and complicated deliveries, pregnancy complications, miscarriages and post-abortion complications, spread of HIV/AIDS and sexual and gender-related violence. The conduct of an annual maternal death review by LGU’s. Products and supplies for family planning shall be among the essential medicines and supplies of national and local hospitals as well as other government health units. The DOH shall spearhead the purchase and distribution of family planning supplies. The supply and budget allotment for these supplies shall be based on acquired data. Anti-poverty programs shall have a responsible parenthood and family planning component as provided by the DOH. LGU’s to make sure that poor families are given preferential access to family planning services. The role of the Population Officers to be strengthened. Barangay Health Workers and volunteers to give priority to family planning work. Maximum benefits to be provided by the PhilHealth for HIV/AIDS, breast and reproductive tract cancer, obstetric complications and menopausal/post-menopausal conditions. Mobile Health Care Service (MHCS) for every congressional district. The MHCS will deliver health care supplies and services, particularly the poor. To be taught by trained teachers in both formal and non-formal education. From Grade 5 to Fourth Year High School. The Population Officer will provide free instructions and information on responsible parenthood, family planning, breastfeeding, infant nutrition and other relevant topics to all who are applying for a marriage license. The Local Civil Registrar will not grant a marriage license unless a couple can produce a Certificate of Comliance that says that the couple has undergone the responsible parenthood seminar given by by the Population Officer. Training on the promotion of reproductive health for Barangay health and other communith healt workers. 10% increase in honorarium for those who complete the training. The State will provide assistance in the determination of the ideal family size within the context of responsible parenthood. Encouragement for couples to have two children; but this is not mandatory. Employers to respect the reproductive rights of employees. Employers with more than 200 employees shall provide reproductive health services on site. Additional provisions for pregnant workers. Private and non-government health care service providers are mandated to provide at least 48 hours annually of reproductive health services free of charge to the poor. This is to be a prerequisite to PhilHealth accreditation. The removal of barriers that prevent persons with disabilities from receiving reproductive health services in cities and municipalities. The State guarantees the right of every citizen to provide and receive non-fraudulent information about the availability of health care services including family planning and natal care. Public awareness campaign to be undertaken on the matter courtesy of the DOH and the Philippine Information Agency. Please share this post for the information of the public.